I just began a new painting project with my KS4 Y10 group. We are exploring mark-making techniques in paint, with the aim of creating a landscape inspired by memories. Pupils were given a sheet explaining how artists use mark-making to express movement or feelings and this included some artists for pupils to look at. To start the project off I wanted the pupils to use materials they haven’t experienced before. 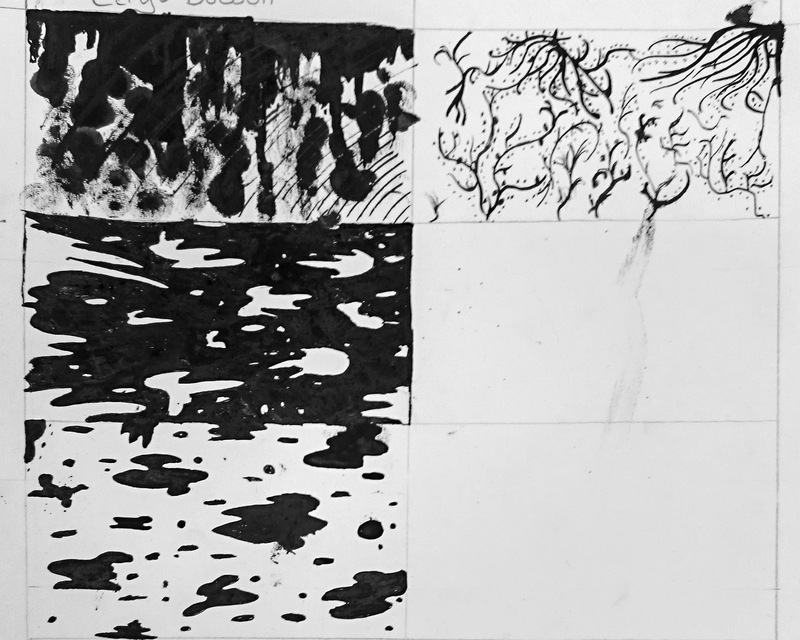 We are working in Indian ink to explore new techniques and develop skills in using new materials. I asked pupils to work directly into their sketchbooks, splitting the page up into 10 boxes then creating a new technique in each box. This didn’t take a full lesson, but pupils worked to complete their last project if they had time left over. Some pupils were weary of working straight into their books and I found this to be a good way to ‘free up’ their concerns about getting things wrong. A couple of pupils created designs which were more illustrative/pattern led so it was important to use examples on the board to make sure their work wasn’t too ‘structured’ – I will update this post with examples of the pupils work asap. I have lots of mark-making examples on my Pinterest board – feel free to use any of those on your presentations like I did. Have you done anything similar? Or thinking about it? Let me know in the comments! 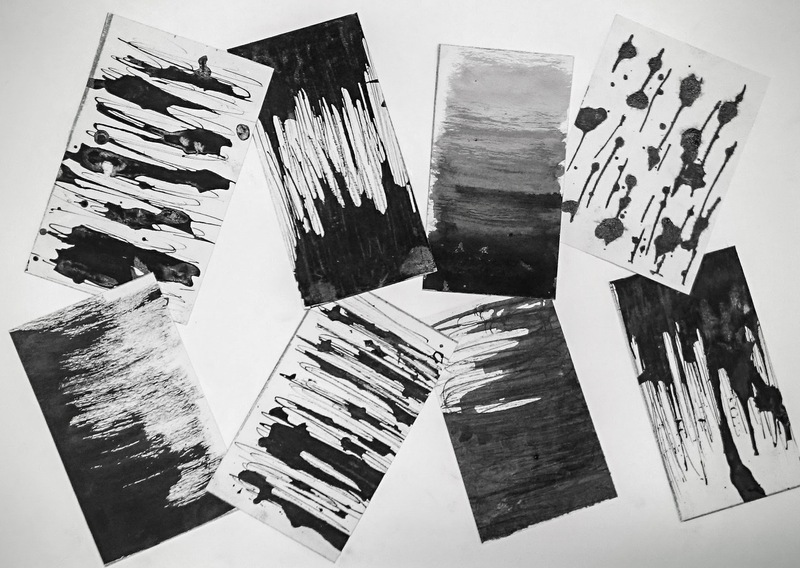 Here’s some of the pupil’s experiments – some struggled with the idea of simply making marks, and weren’t sure if they were doing it ‘right’ but it was a good way for them to explore new materials and techniques. Some are a little ‘illustrative’, which wasn’t what we were trying to achieve, so I gave some feedback and suggested the pupil not try to draw something specific, just make marks. 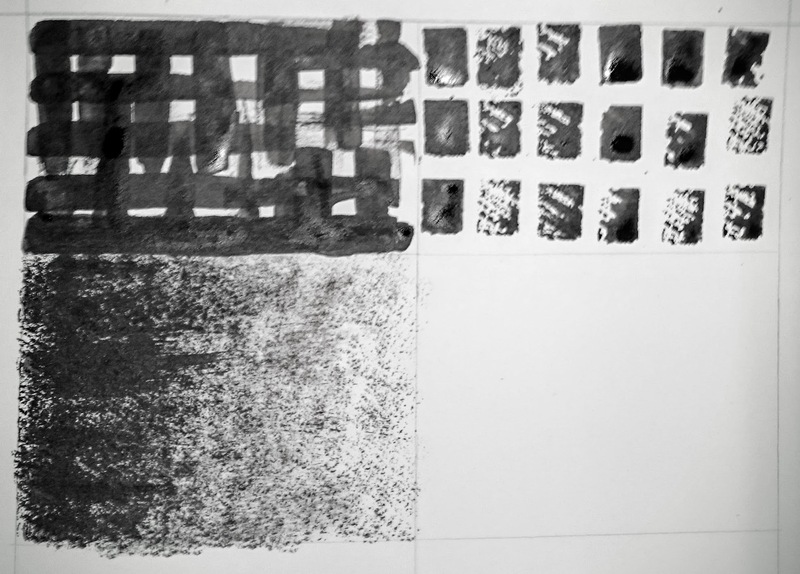 I asked pupils to use a range of tools, have a different technique in each box and try to create tone (dark to light).